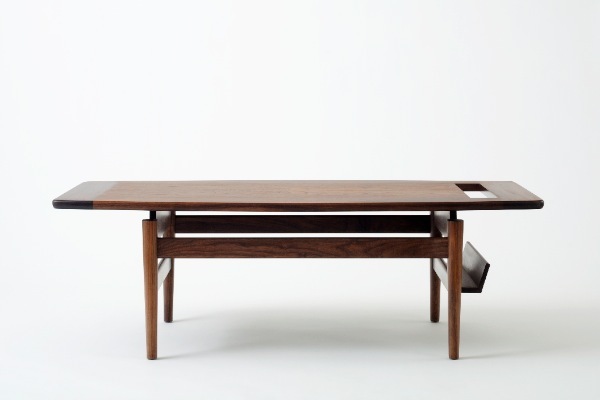 Jens Risom was one of the most important Danish-born, American Mid-century designers, as he likes to define himself. 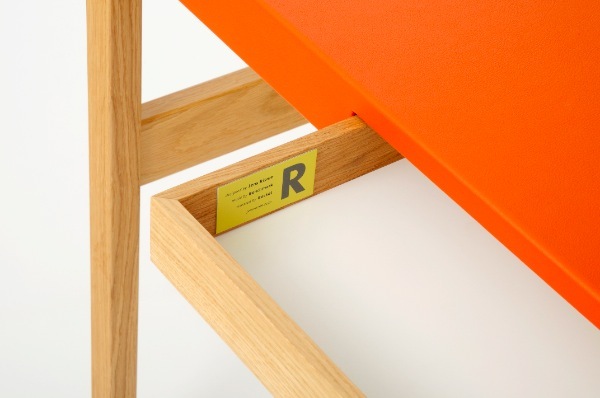 The collaboration between Rocket gallery and Risom is a story of passion for good design, a story with two protagonists: the 95 years old and still very active Jens Risom and the owner of Rocket Gallery, Jonathan Stephenson. 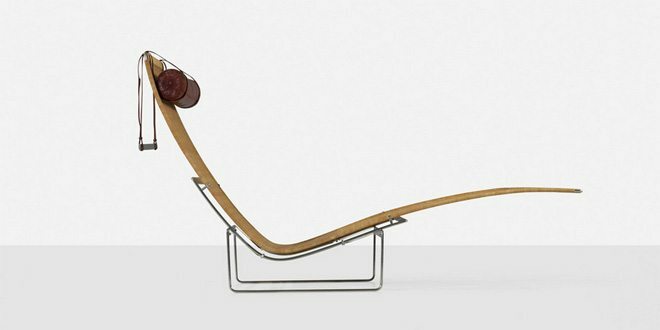 Jens Risom was born in Copenhagen in 1916 and studied at the the School for Arts and Crafts, where he also became friend with Hans Wegner. As he had a strong sense of business, he decided to leave the too small and crowded Danish market for the U.S. in 1938, hoping for more possibilities. Unfortunately, the late 30s United States was not as open to modern design as Risom thought. 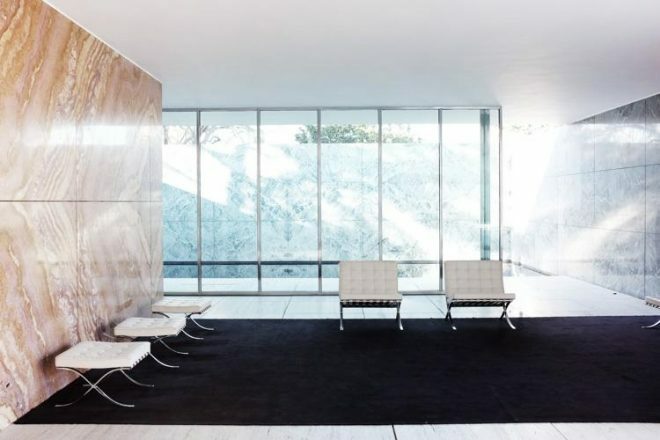 He began his american career working as textile designer for the interior designer Dan Cooper: a great way to expand his network to the most important future American architects that appreciated and promoted his work. 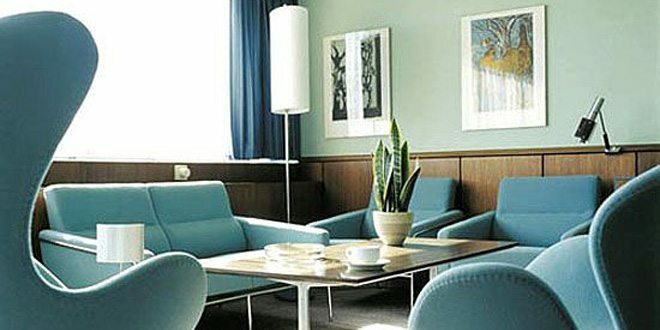 Before starting his own company(the Jens Risom Design Inc.) in 1946 Risom worked for many furniture manufacturers, designing also 15 out of 20 pieces of the first Knoll collection in 1943. 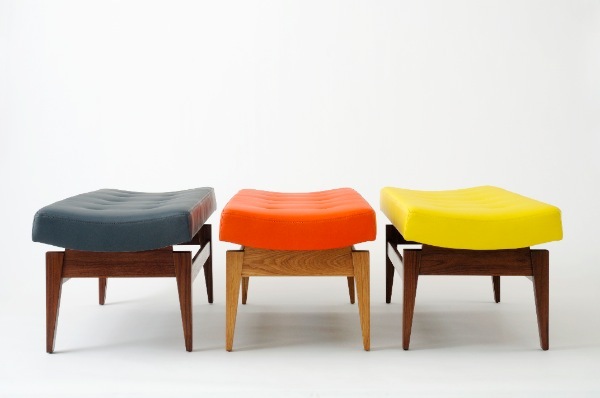 Across the 50s, the Jens Risom Design Inc. became the third largest furniture-maker of the United States. 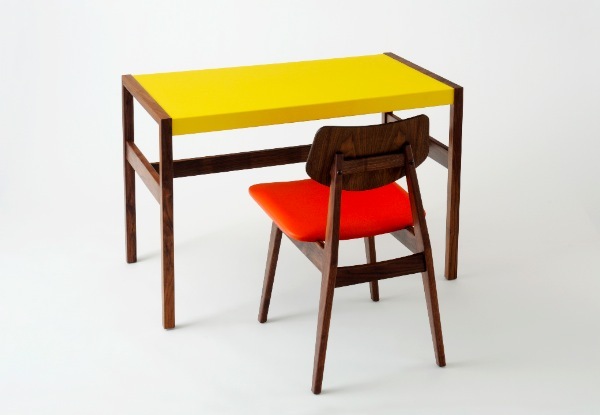 Jonathan Stephenson discovered Jens Risom while looking for furniture on eBay. 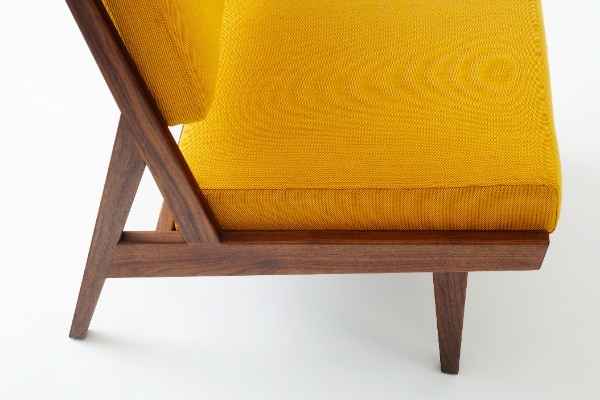 He found out that Risom was a meticulous person passionate about quality and functional design, as he is. Stephenson also discovered how such a good manager Risom was, being involved in all aspects of the Jens Risom Design Inc. From design to production and marketing campaigns, he was involved in every aspect of the business. The year after he flew to the U.S. to meet Risom and talk about the possibility of reissuing some of his pieces in the UK. 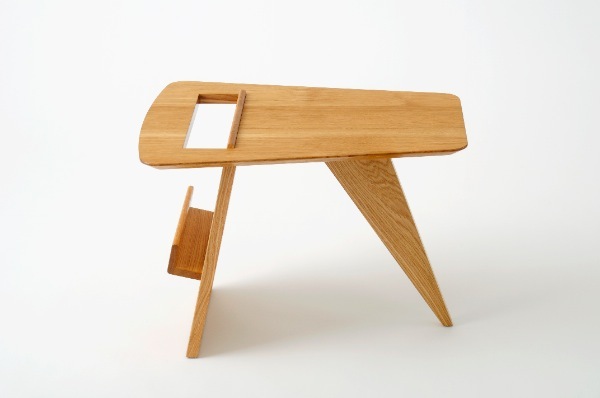 Despite receiving many offers to bring back in production his pieces, Risom never found the company that could guarantee the quality he used to offer to his customers, but with Jonathan was different: “I am very impressed with Jonathan’s courage; he is very knowledgeable and understands good design. It is a very warm affair when you find the right people.” Risom said. 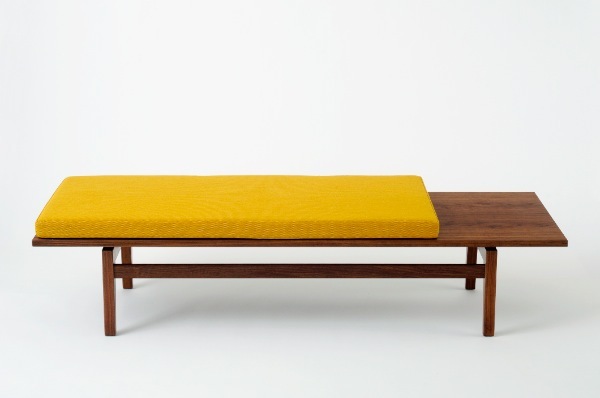 When Risom’s son visited Benchmark, he found it to be very similar to the Jens Risom Design Inc. factory, just smaller. 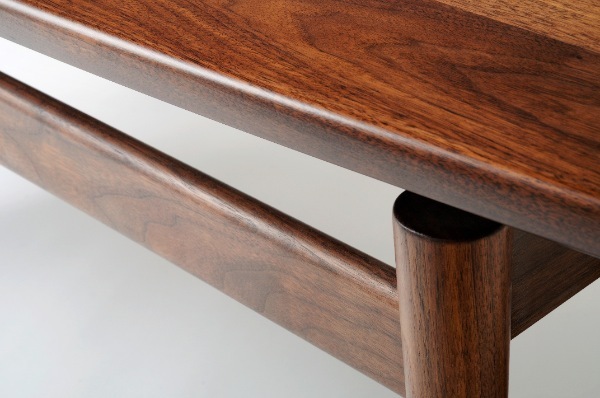 Benchmark offered the mix of modern technologies and handcraft manufacturing that Jonathan and Risom were looking for. After a retrospective in 2007, in June 2010 the Rocket Gllery collection of nine Jens Risom’s pieces was showed for the first time. The collection includes an easy chair, a side chair, a desk, various coffee tables, two magazine tables and the famous Risom’s bench; made in oak or walnut. You can check the entire collection here.